Join us in discussing the key factors for nurturing a resilient maritime forest. 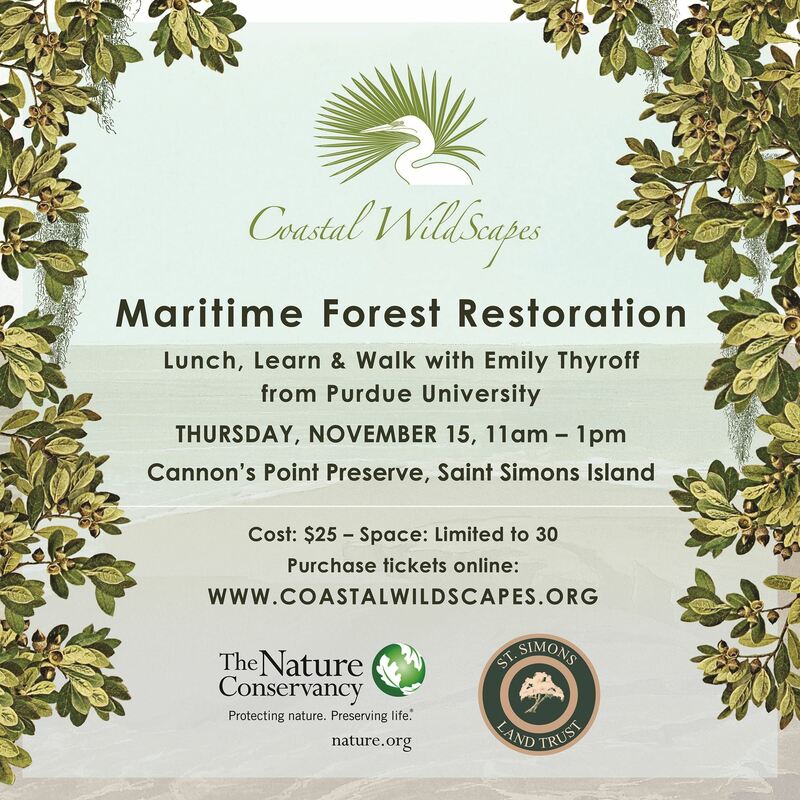 Our lecturer, Emily Thyroff is a graduate student at Purdue University who’s forest biology research is the maritime forest restoration project at Cannon’s Point Preserve. She is studying under Dr. Douglass Jacobs (Purdue University) and Dr. Owen Burney (New Mexico State University) who have been conducting various trials to determine the best methods to restore maritime forest. Their research has been taking place on Cannon’s Point in areas that were planted pine. 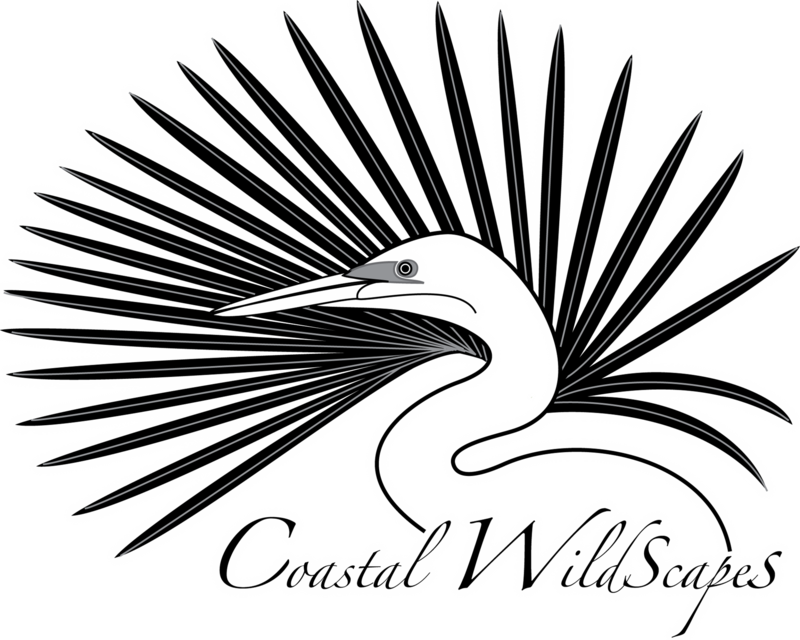 This research is the first of its kind and will improve the ability to restore maritime forest in other areas in coastal Georgia. Cannon’s Point Preserve is protected in perpetuity under a conservation easement held by The Nature Conservancy. Cannon’s Point is a wilderness preserve owned by Cannon’s Point Preserve, LLC, an affiliate of the St. Simons Land Trust, Inc., and is open without charge to the public Saturdays, Sundays and Mondays 9am–3pm, and at other times for scheduled events. No portion of the fee is paid to the St. Simons Land Trust, Inc., or its affiliates, and no part of the fee is a payment for access to Cannon’s Point, which is open to the public without charge.